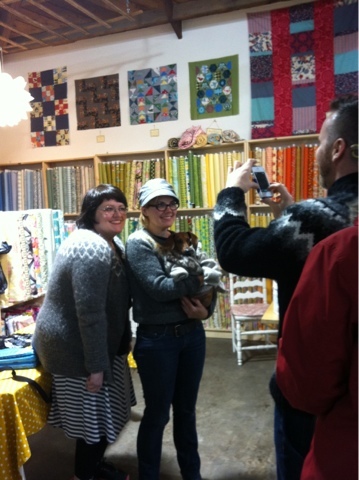 Ragga from Knitting Iceland came to the shop this evening. Here's an outtake! Ysolda, Ragga, and Cleopatra all in lopi sweaters! More soon! I own A Verb for Keeping Warm, a naturally dyeing studio and yarn, fabric, and fiber shop located in Oakland CA. In 2012, I am using my blog to record 365 days of owning this crazy business. 74-75:365 Color keeps us going.